Warm Fuzzies – how to sum up an amazing year with your class! So as we approach the end of the school year in New Zealand and Australian schools, we sum up our year of learning and begin to wind down! We think about everything we have achieved and ensure our students reflect on the year that has passed, and how they can be great learners for future years. One of the activities that I do every year is called “warm fuzzies” – I love it and it is truly inspirational – I highly recommend you trying it with your students this year and letting me know how it goes. The idea of this activity is to reflect and inspire. Start by getting the students to form a circle (preferably sitting outside) – it is crucial that the teacher is involved in this process. Give students a run down about how it works – set the rules (I.e. No calling out, only nice things, be descriptive, be proud). One by one, the students sit in the middle of the circle and the circle of students all write a ‘warm fuzzy’ comment to their classmate in the middle. The comment must be kind, something they like about that person or something they know about the person. An example might be: a kind, friendly person who loves her sport. I will miss you Jessica …. You can either do this one at a time or have 2 students in the middle at once (time depending). 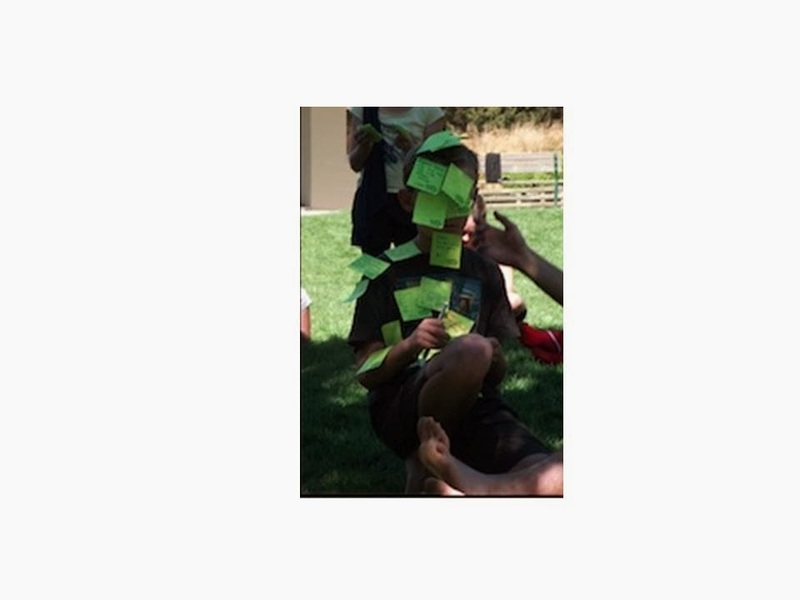 Students then read out their comments to the person in the middle and stuck their post it note on them. 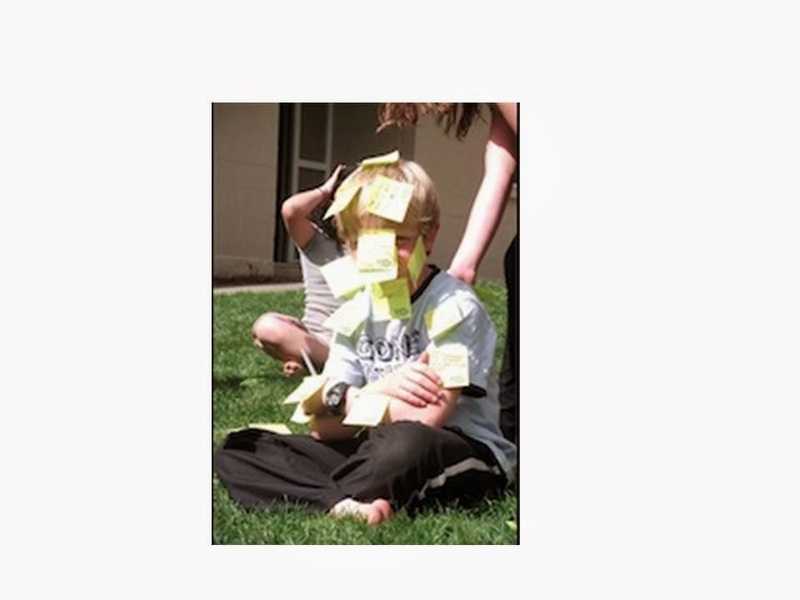 At the end, the student is left feeling warm and fuzzy inside, with a class load of positive post it notes. I make them read them aloud to own their statement and to double check they are positive. You can speed the process up if required by sending several students up at once. I always finish the session by going into the circle and getting the students to give me some ‘warm fuzzies’. I love it and it is truly inspirational! I can’t wait to hear how you utilise this idea in your context. Please post some replies and let me know how your ‘warm fuzzy’ session went. Craig, I love the idea of “warm fuzzies” at the end of the year. This is something that I am definitely going to try in my own classroom. I look forward to your future blog post so feel free to tweet me whenever you create one! Craig, this looks like a fun activity for students. I might try this at a PD session for adults. Thanks. I’ve used a variation of this: tape a paper plate to each person’s back. Then turn on some music…and move around the room writing positive “pats on the back” to each other. It adds a nice physical dimension to the experience. Loved the picture of the little one covered in Post-it notes! Absolutely LOVE this idea Alison – such a cool element to add – I can’t wait to adapt and try this out this year! I do a similar thing at the start of the year- I use it to focus on the developing a growth mindset- highlighting the strengths we all bring. I give each student a long thin strip of paper – I also have a basket ball or similar large awkward object to balance. Some times I then go up my self and join in – or extend the offer to a few others. I give them a minute to try and get it- they will discuss rather complicated options and most often the ball eludes us all. Then bring it round to joining together our skills/ knowledge and experiences to help achieve our goal. If we do this we can easily create something that can pick up the ball- and that as the year progresses we can draw on each others strengths- that we are all experts in different ways- that if we support each other to grow we can all achieve better outcomes. I then hang up our creation as a reminder. Nice way to set the tone of the class for the year. Nice one Craig. I shall try it out with the teaching staff who will then carry it out in their classes. Hope I shall be able to send pictures of this activity to you. God bless.